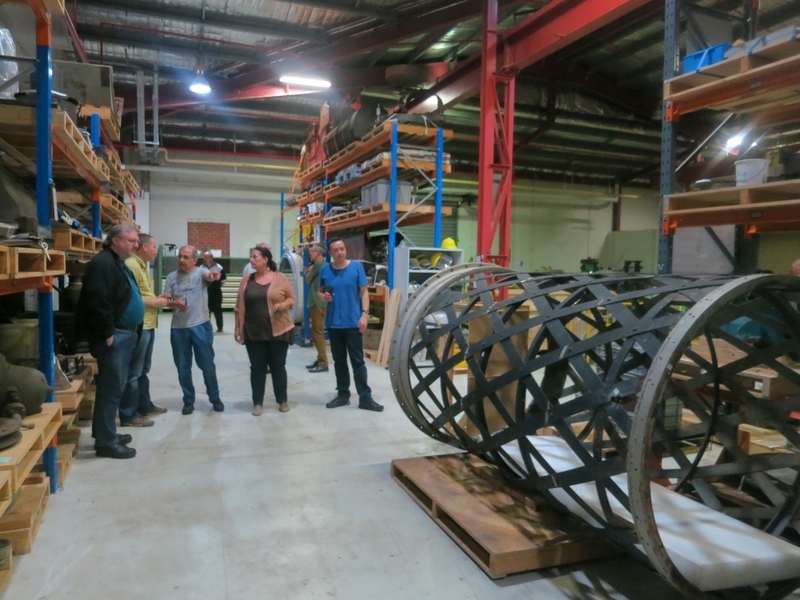 Last Sunday, a group of the APS members took a brief pre-conference tour of the Great Melbourne Telescope restoration project. The group was met by Dr. Richard Gillespie who gave a fascinating and insightful presentation on the history of the telescope. 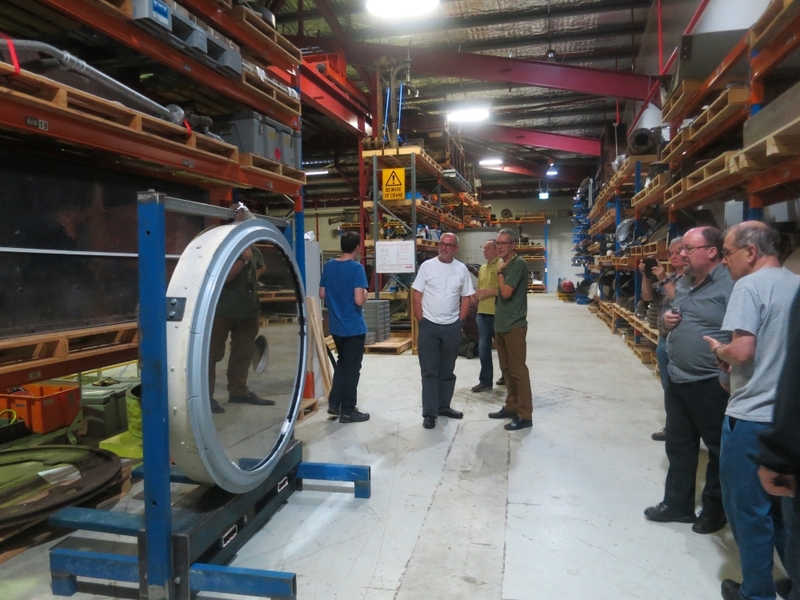 After his presentation, we visited the workshop to see the telescope, which is all still in parts, and inspect the restoration progress. On hand were Neville Quick,the Manager for Collection Storage and Logisitics, as well as Matilda Vaughan, the Curator for Engineering, to answer questions and provide further insight into the restoration process. Wandering through the vast Museum Victoria collection stores, one cannot help but think of the final scene of Raiders of the Lost Ark. This was a fabulous opportunity to have an all too brief glimpse into some of the hidden treasures of the museum. The APS would like to thank Richard, Neville & Matilda, for making this opportunity available. This entry was posted in Uncategorized and tagged Melbourne, telescopes. Bookmark the permalink.